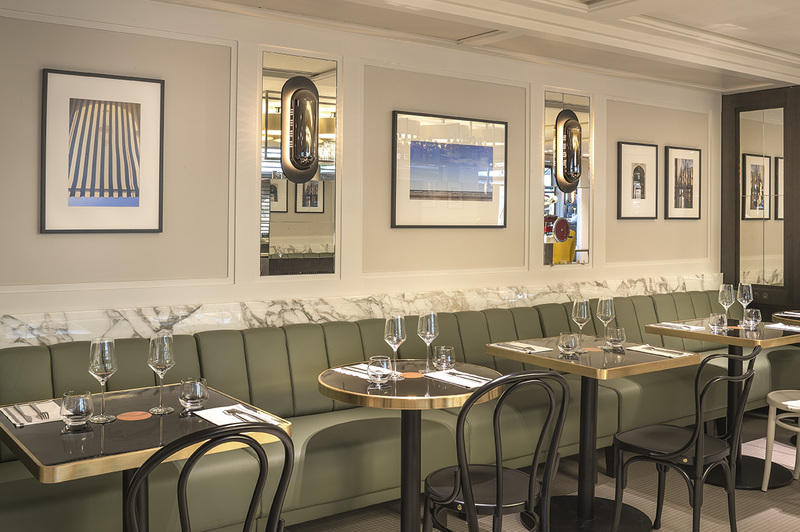 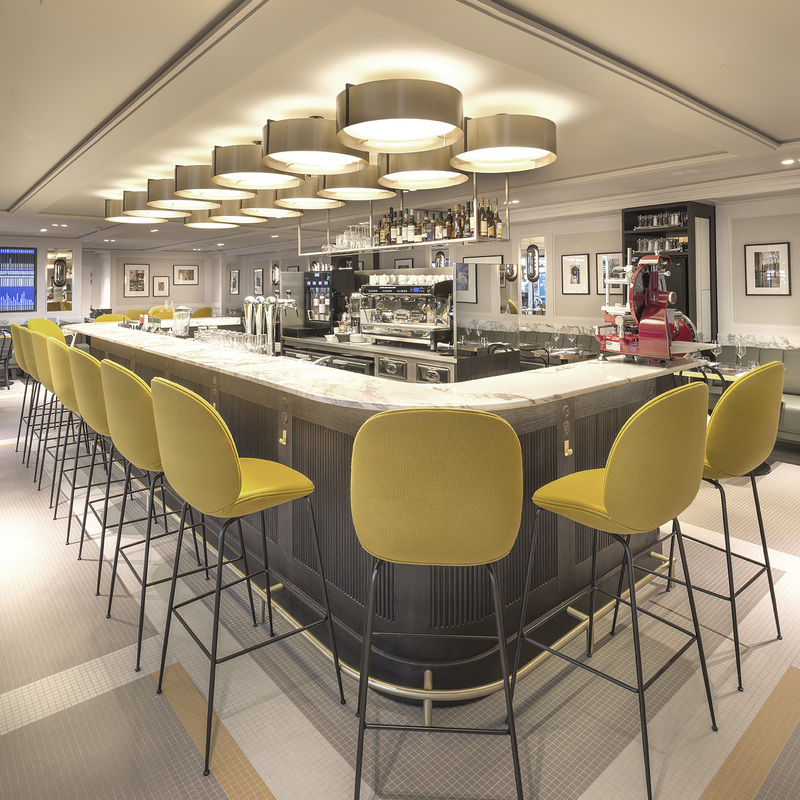 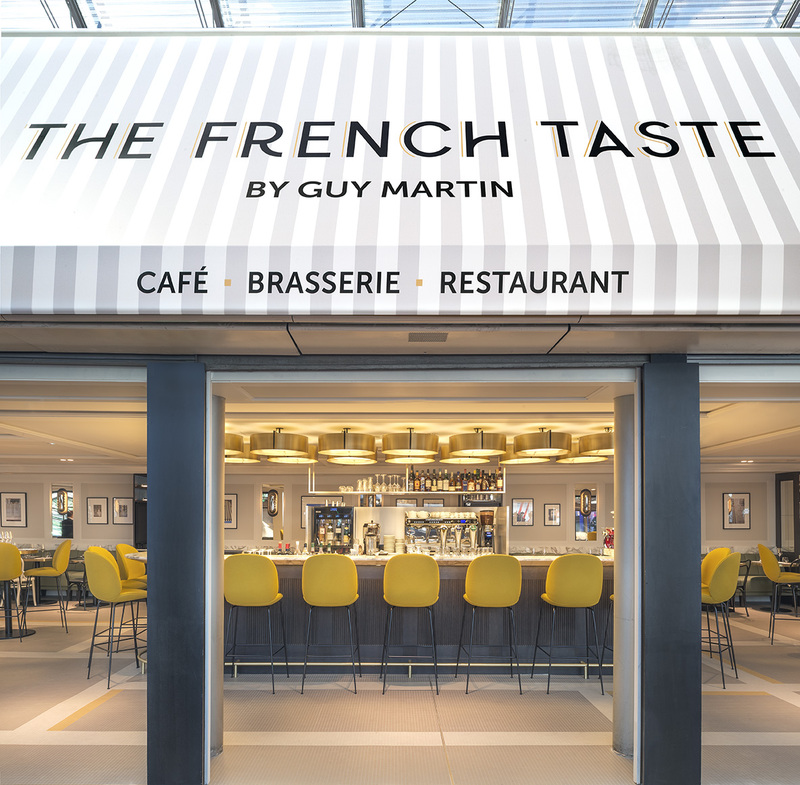 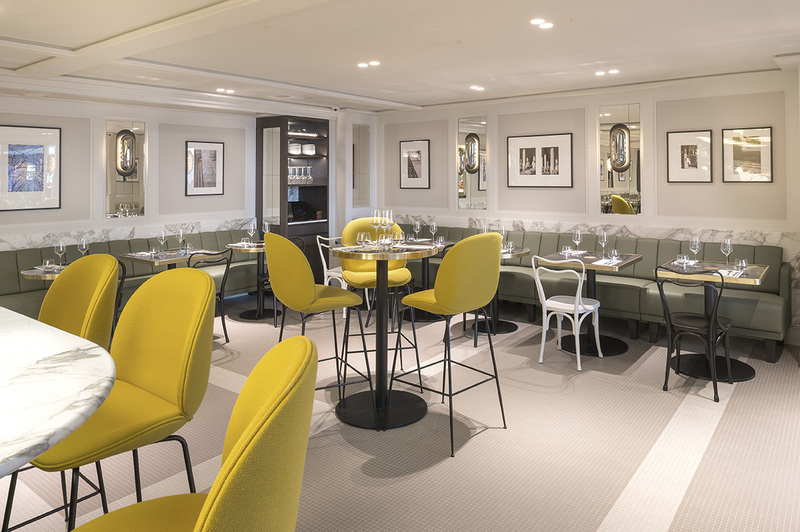 With his new establishment The French Taste, Michelin-starred Chef Guy Martin opens up French gastronomy to travellers in search of flavours and the French way of life. 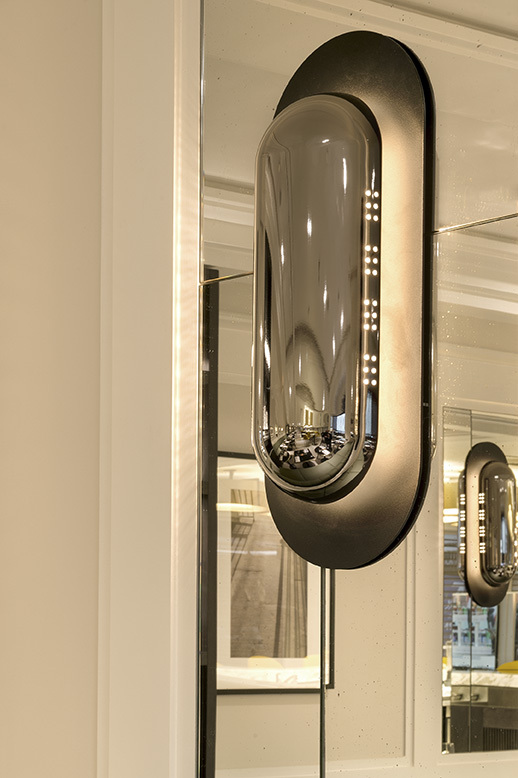 The architect Charles Zana has created a decor inspired by the world of the Royal Palace and a changing atmosphere thanks to a particular work on lights that evolve with time. 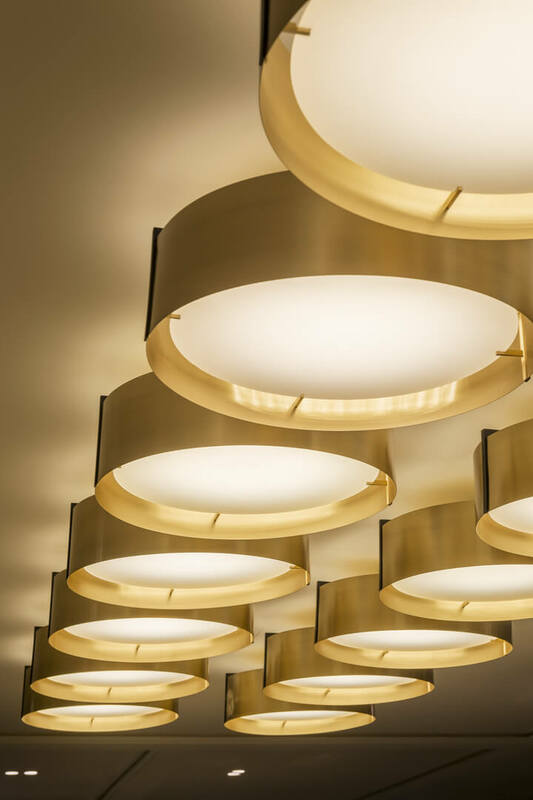 GAU designed and manufactured the brass ceiling lights with LED tiles (2700K) and oblong bright nickel wall lights with LED tiles as well.